2013 has been an interesting year for beer, there’s been a lot of really good beer and an awful lot of inconsistent beer, beer that’s been lauded to death and I’ve not enjoyed there’s been some great discussions and some utterly bonkers ones and there’s been a fair bit of bandwagon jumping and circle jerking to help it all along. 2014 is going to be an interesting one but the one thing I hope for most is more consistency from some of the breweries I love. 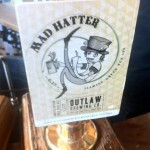 Best UK Cask Beer – It’s not often I go into a pub and drink multiple pints of the same beer,and it’s happened twice this year the first was on a visit to Free Trade Inn back in February when I visited that I couldn’t stop drinking one particular beer….Roosters/Outlaw Mad Hatter. The Second was a trip to Cornwall, Harbour Light Ale which I still think is the best low ABV beer in the UK. Third place goes to Truefitt Trembler as I can’t stop drinking the bloody stuff. 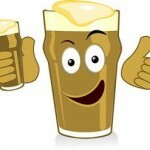 Best UK Keg Beer – Hawkshead NZPA, I drank so much of it at the Hawkshead beer festival, huge improvement on last years kegged version, runner up goes to Magic Rock Circus of sour, an absolutely cracking beer, both low ABV and packed with flavour. Best UK Bottled or Canned Beer Bottled beer: It’s been a mixed year for the bottles I’ve bought,there’s been some brilliant beers and some down right terrible beers but my Golden Pint goes to Kirkstall Dissolution Extra IPA, I’ve genuinely drank cases of the stuff, It’s closely followed by Salopian Automaton/Black Ops/Kashmir as I can’t pick between them, they’ve all hit the right buttons for me and then Roosters High Tea (formally Mad Hatter) and Truefitt Erimus which is my go to bottled beer. Canned beer goes to Adnams Ghost Ship, my go to fridge beer, plenty of hops, nice malt backbone, and in my opinion way better than the bottled/cask version and perfect for both camping and drinking straight from the can on the sofa. Best Overseas Draught beer – It was from To Ol and I’m pretty sure it was called “I’ve seen bigger than yours“, it was a big 14% barley wine with orange and raspberry at IndyMan BeerCon, I could have quite happily drank pints of the stuff. Best Overall Beer – A real tough one but probably the beer I’ve spent most money on Kirkstall Dissolution, It’s strong but not silly strong, there’s plenty of hops and it’s so refreshing. Best Branding, Pumpclip or Label – A tough one, I’d like to choose one of our clients at LemonTop but that doesn’t seem right so I’m going for Harbour, I love how clean it is and how tactile the labels are. 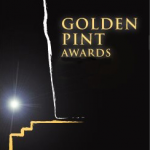 Best UK Brewery – Adnams, consistent and doing some genuinely tasty beers including Fat Sprat, Innovation and Ghost Ship. Followed by Hawkshead for the same reasons then Salopian for really going for it. Best Overseas Brewery – Cantillon, I love them and always will, wish I could drink their beers more often. Best New Brewery Opening 2013 – Now that is a tough one, there’s not a new brewery that is hitting all of the right notes yet but I’ve enjoyed most of what I’ve had from Weird Beard. Pub/Bar of the Year – I’ve had some brilliant visit’s to pubs recently but there’s 2 that always win The Free Trade and Bacchus, both in Newcastle, excellent beer and great atmosphere. There are others I love but far too many to mention and it depends on whether I want food, beer, both or something else. Best New Pub/Bar Opening 2013 – Probably Pleased to Meet you in Newcastle, great beer, amazing gin and from what I’ve seen tasty food. Beer Festival of the Year – Same as last year, a toss up between IndyMan and Hawkshead, both have their pro’s and cons but I had a fantastic time at both, shout out to York beer festival too as that had a great range of cask beer and some tasty food. Supermarket of the Year – Booths – a must visit when I’m near one, some excellent beers that you’d not expect. Best Beer Book or Magazine – Brewing Britain by Andy Hamilton, only just started reading it but enjoying it so far. Best Beer and Food Pairing – Timmy Taylors Landlord from the bottle and Fish n Chips from paper on the beach at Saltburn followed by Truefitt Erimus and a Parmo from the box on the Sofa on a Friday night. Best Brewery Website/Social media – No one really stands out, too many shout about themselves but don’t reply. Thanks for the mention, Andy. Very kind of you. Aye, I agree with Mr Bailey there were plenty of other great books out this year so it’s lovely to get a mention. Cheers!